By the same team that brought us ET, but it's no ET. Don't get me wrong: it's good, and fun, and the beginning and ending are wonderful. But lots in the middle is simply too self-absorbed and enamored with FX/CGI work. They're giants, we get it, now move on; focus on the story, enough with the wizardry already. 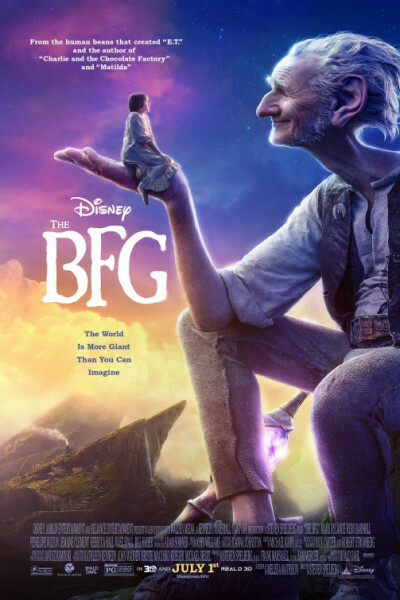 Our BFG is endearing, and tender-hearted, and everyone loved his language and his relationship with Sophie, but alas, it's an 8, not a 10.